One note: you´ll see him credited in albums as Rick Grech, even as Rich Grech, but my guess is that the most accurate name he used is Ric Grech. If someone can help with additional info, it would be very welcomed. Roger Chapman and Ric Grech played in a band with guitarist Stuart Brown, before they went to Farinas. Does anybody know the band name or more details, please? Maybe the band name was Exciters? He also formed a band with brothers Ray Martinez (guitar) and Paul Martinez (bass), but again, can´t find more info. They played good strong R&B stuff. With Chapman, they also started to play Sam & Dave soul covers. But they soon changed their name to The Roaring Sixties. In mid 1967, they changed their name again to The Family, then changing their drummer. They recorded their first single, ´Scene Through The Eye Of A Lens / Gypsy woman´ in October 1967, with no success. 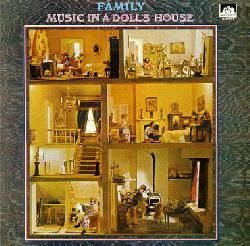 Their first album, Music in a doll´s house, was produced by Traffic guitarist, Dave Mason. At the same time, the band backed Dave Mason in the B-side of his first single. 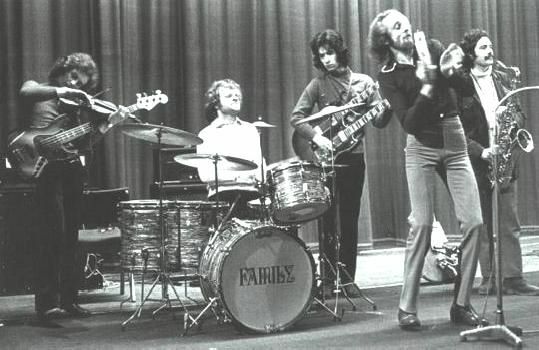 After their second album, Family entertainment, Ric surprised everybody when he left the band in the middle of a tour in May 1969, to join the first supergroup ever, Blind Faith. 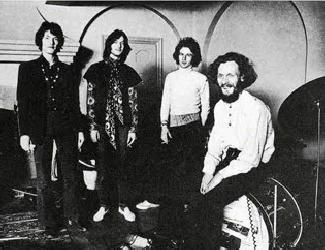 They released only one album, Blind Faith, published in August 1969. I like it, although I must reckon it has some not-very fortunate tracks. But there are some others that were converted into real classics, like ´Presence of the Lord´ or ´Can't find my way home´. It also includes a Buddy Holly rendition, ´Well all right´ (years later covered by Santana). We can find a beautiful violin solo by Ric in the song ´Sea of joy´. 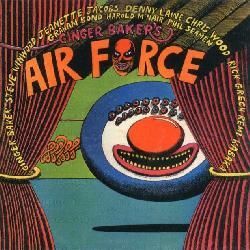 There´s a deluxe edition as 2CD with 5 unreleased tracks and 4 long jams as a trio (still without Ric, but with percussionist Guy Warren from Ghana, a close friend of Ginger Baker). 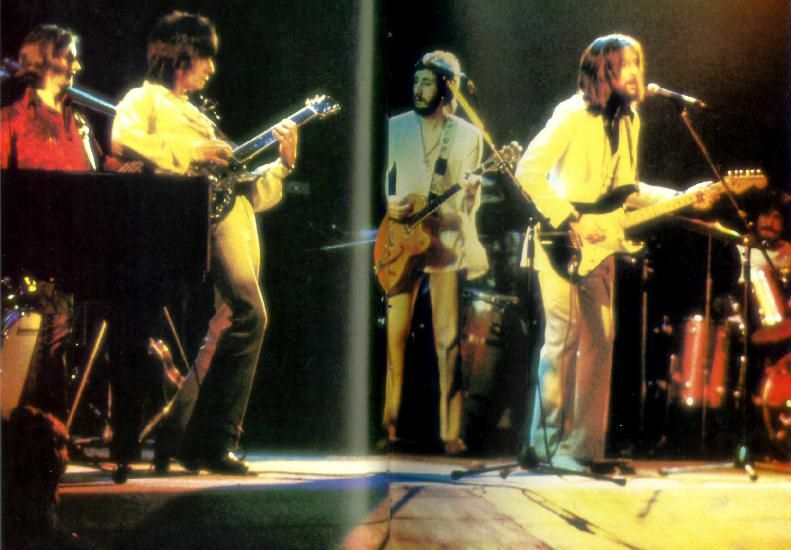 They made their live debut as the main attraction in a huge concert in Hyde Park in June 1969, who also was attended by ´new´ bands like King Crimson. This was followed by a Scandinavian tour in July 1969, before moving to the States for another tour. 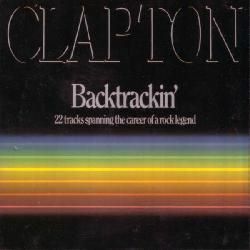 The story of this band was really short, as it seems that Eric Clapton´s original idea was quickly abandoned for a humble stay as sideman in Delaney & Bonnie's band (the opening band for Blind Faith), far from stardom. They simply disbanded in August 1969 after their last gig. 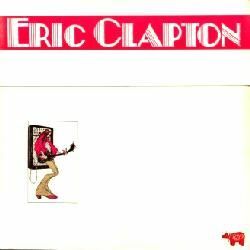 After a while, all but Clapton stayed together under Ginger Baker´s Airforce name. Laine and Burton were at this time in the band Balls. And Clapton finally joined permanently to Delaney & Bonnie. It was also published in the press in August 1970 that Balls were recording 12 tracks for an album that was never released, and Ric Grech played in some of those tracks, but they´re maybe speaking of these same sessions. I guess these sessions included the tracks ´Spending All My Days´ and ´Exchange And Mart´, recorded in October 1969 by Ric with George Harrison, Trevor Burton and Denny Laine. These two tracks appear as bonus tracks in a rare German reissue of the Blind Faith album. 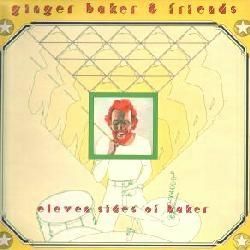 This free-form outfit was assembled by Ginger Baker. The list of musicians wasn't stable, in the jazz tradition. They started their short career in January 1970. With some other guests, like Bud Beadle (sax) and Steve Gregory (flute, sax) (later both in Gonzalez), Colin Gibson (bass), all of them were to join the band later. 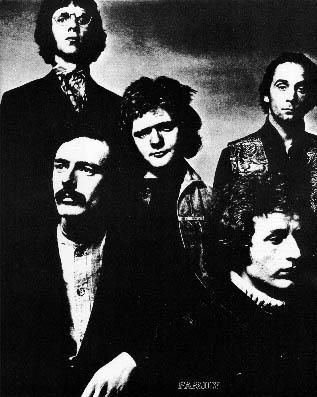 In February 1970, Winwood leaves the band to reform Traffic again (where Chris Wood soon would join). And then, Ric Grech left to join Traffic in August 1970. In June 1970, John Mayall was to play at the Bath Festival of Blues and Progressive Music. But, not having a stable band at the time, he asked some of his old friends to play with him. See the surprising one-off lineup! Peter Green, not long ago leaving Fleetwood Mac, bassist Ric Grech, and drummer Aynsley Dunbar! WOW! They wrote the music for a film called Nevertheless, but the film was never done. 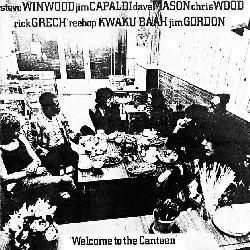 They released a live album, Welcome to the canteen. 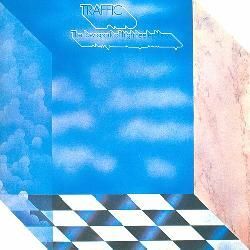 I must say that it's not really credited to Traffic, but to the names of the 7 musicians, but no doubt it's a Traffic album. I love this album, although it lacks a very bad sound. It contains fantastic performances, and some songs from Winwood's former band, Spencer Davis Group. I hope someday it will be remastered or enhanced, it deserves the task! Soon after this album, Dave Mason leaves the band again. The new lineup released another album, The low spark of high heeled boys. I like the song ´Rainmaker´ a lot. 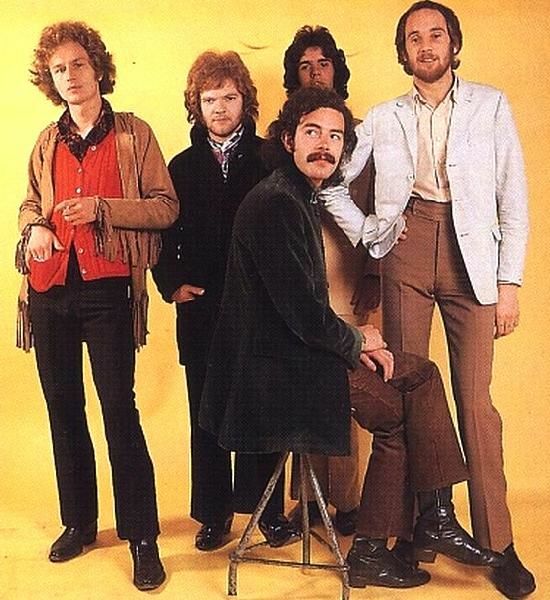 But in December 1971, Ric and Jim Gordon leave the band. They played together for a week, preparing the two concerts, to be made on January 13, 1973. 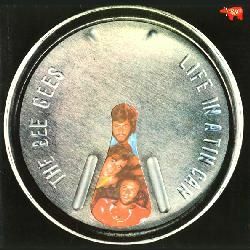 A live album was released in September 1973 from those concerts, but it lacked a poor sound and even a poorer selection of tracks (only 6 tracks). It was a sad thing after all the interest they all took on succeed. But ... this has been solved after 15 years. Now there is a extended edition from those concerts, the sound has been remastered (and incredibly enhanced! ), and now we haven´t 6, but 14 tracks!!! A superb album. I loved the original in spite of all, but this one is really fantastic!! Albert Lee spent until May 1974 with them, recording three albums, as far as I know. Please, any info about this band would be very welcomed! A really superb lineup. But, as many times happen, they hadn´t the success they deserved, and after their first album, KGB, Ric and Mike Bloomfield left the band. This line-up continued to play a number of gigs around the Midlands, sometimes being called The Ric Grech Band and augmented on occasion by a fine blues musician from Leicester, Mick Pini on guitar and the lovely Clare Hammill on vocals. It is interesting to point out here that Ric never played bass here, only violin and acoustic guitar. After a while, they changed the musicians and started adopting the new name Square Dancing Machine. After their first gig in June 1976 at Colchester University, Ric played the rest of the tour with the Leicester band Captain Video supporting him. Claire Hamill joined them in April 1976. 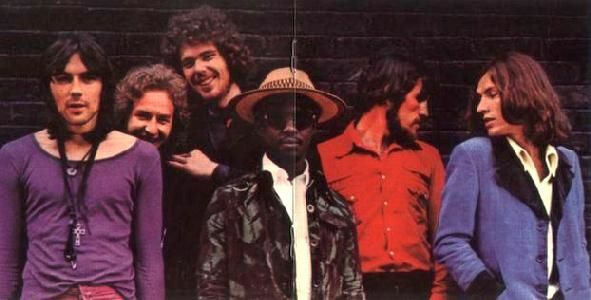 This lineup lasted just the summer of 1976, playing a mini-tour of UK, London, Leicester, Scarboro, etc. They recorded one single, ´Ashes Of Love´, with The Who´s sound engineer Bob Pridden, but this was never released. After that, they split. And that happened in Spain! Unfortunately, the project went nowhere, when a Spanish producer tried to record them. Oh, so there will be some tapes from that project? That would be great!! And I don't know many more things about him till his sad death in 1990. Can anybody help me, please? I include here some facts I´ve been reading along the years, related to Ric. Around 1980, Ric occasionally sat in and jammed with Carl Shimmings´ jazz band that played on Sunday nights at the Old Horse Pub in London Road, Leicester. He only played violin as Carl played bass and led the band. In October 1985, the band called The Rent (although billed as the Geoff Overon Blues Band on that occasion) was playing at the Phoenix Theater in Leicester on one of the regular Sunday lunchtime jazz sessions. Ric sat on violin for the last few numbers in the set, and this fantastic photo (courtesy of Graeme Malen) shows Ric, Geoff Overon on guitar and Graeme Malen on the drums, finishing the very last song. 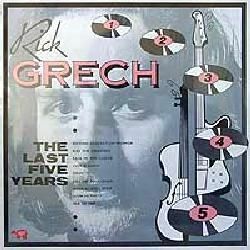 Ric Grech has one album under his name, The last five years, but it's not really a new album, but a compilation of songs where he played and mostly wrote (with Family, Blind Faith and Airforce). This page is dedicated with my love to Ric. It was one of the first pages I ever wrote, back in January 1998. Many years have passed, and I still love Ric´s playing. Ric Grech played with The Rolling Stones in the sessions for their Beggars Banquet album, although he doesn't appear in the finished album. In March 1969 he played in a different take of ´Street fighting man´ along with Jim King and Roger Chapman on backing vocals. Still in The Rolling Stones sessions for their Beggars Banquet album, in May 1969, Ric Grech played violin in a variation of the song ´Factory girl´ along with Dave Mason. 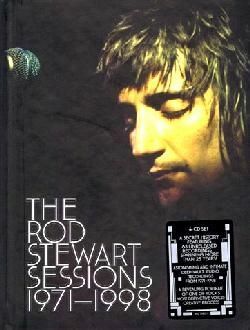 Other people attending those sessions include: Rocky Dijon (percussion), Marianne Faithfull & Anita Pallenberg (backing vocals), as well as Nicky Hopkins (piano). All produced by Jimmy Miller. 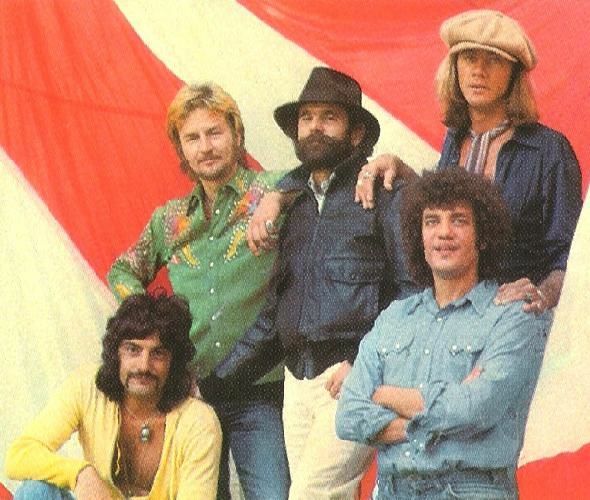 After leaving Family, Poli Palmer tried to form a new band with Ric, around 1972, but it didn´t work out. 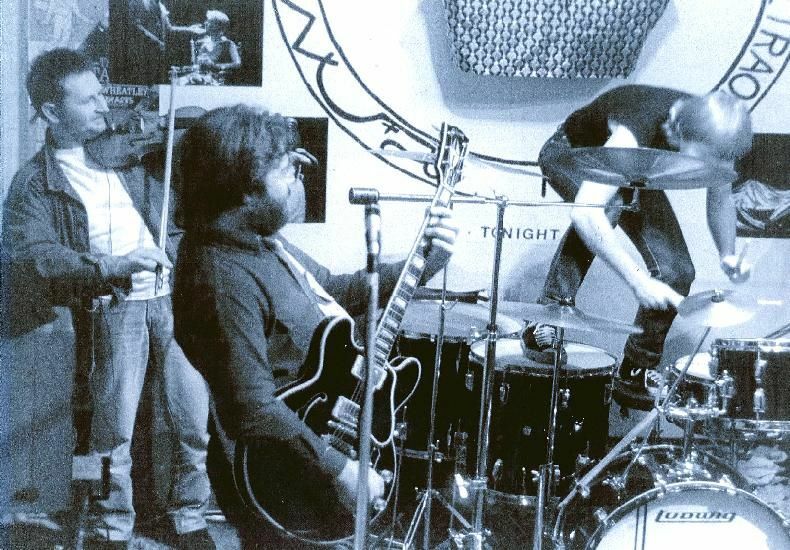 In June 1973, the band Sharks, led by guitar genius Chris Spedding, recorded some tracks (some with Pat Donaldson on bass, some with Ric Grech), but sadly, they still remain unreleased. In October 1974, Jimmy Page recorded a song called ´Scarlet´ with Keith Richards on vocals and guitar, Ric Grech on bass, Ian ´Stu´ Stewart on piano and Bruce Rowland on drums. It was never released. Comments: Compilation of tracks co-written by Ric where he also appeared. 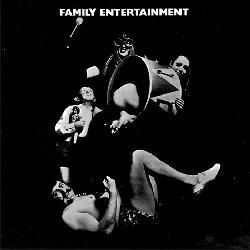 Comments: This single (still credited to The Family) was not part of any Family album, but a CD reissue of their first two albums (Music in a doll house and Family entertainment) includes both songs as bonus tracks. Comments: There´s a deluxe edition as a 2CD with additional tracks and long jams. Comments: Recorded live in July 1971. 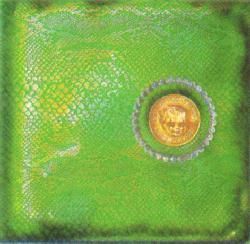 Comments: Some CD reissues contain 1 bonus track (co-written by Ric Grech and Jim Gordon). Comments: Expanded edition of the original live album, with 8 additional, unreleased songs. My opinion: Fantastic, love it! 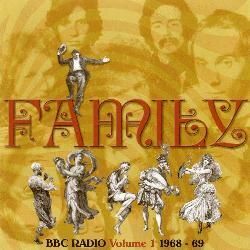 Comments: This album contains live radio appearances from 1968 (6 tracks) and 1969 (10 tracks). 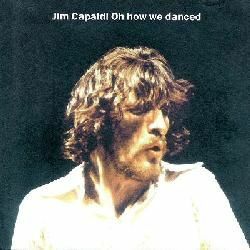 Comments: Live DVD recorded on the band´s debut in June 1969. 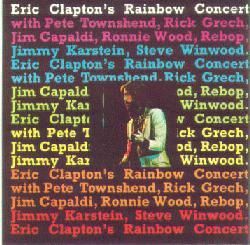 Comments: Winwood is not really a new album, but a compilation of songs from earlier Steve bands, including Blind Faith or Spencer Davis Group. Comments: 2LP compilation with tracks by Cream, Blind Faith, Derek & The Dominos as well as from Eric´s solo albums. Some of the tracks are live recordings. 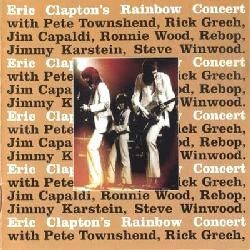 Comments: Compilation from the early stages of Eric Clapton´s career, including tracks by John Mayall & The Bluesbreakers, Cream, Blind Faith or Derek & The Dominos. Comments: First solo single by Dave Mason. 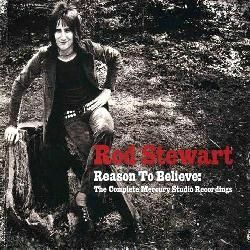 He´s backed in the B-side by the band Family (Roger Chapman / Charlie Whitney / Jim King / Ric Grech / Rob Townsend), as Dave was producing their first album at that time. 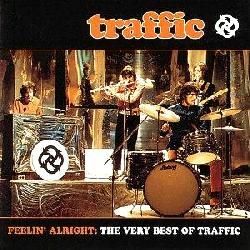 Comments: Here we can find the original Traffic lineup: Steve Winwood, Dave Mason (also producing the album), Jim Capaldi and Chris Wood, plus members of Family: Ric Grech, Jim King and Poli Palmer. More great guests: Julie Driscoll (vocals), Luther Grosvenor (vocals), Robbie Blunt (sitar), and Remi Kabaka (percussion). CD reissue contains bonus tracks. Comments: This flute player was Ric companion in Ginger Baker's Airforce, and played in lots of Donovan and Alexis Korner albums, plus some other albums from albums with members in my Olympus, like Steamhammer (Micky Waller), Cressida (with Iain Clark, the fabulous drummer, once in Uriah Heep). 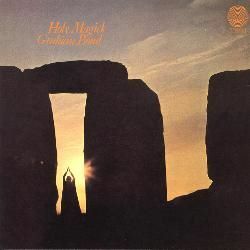 With Colin Green (guitar), Keith Tippett (piano), Ric Grech (bass), Tony Carr (drums), plus the rhythm section from Pentangle, Danny Thompson (bass) and Terry Cox (drums). He died soon after this album, in 1971. 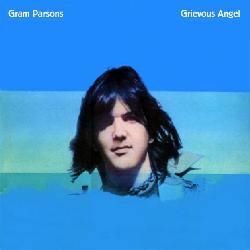 Comments: Gram Parsons´ second album, Grievous angel features again Emmylou Harris, James Burton, Byron Berline, Glen D. Hardin, Al Perkins, plus Linda Ronstadt (vocals), Herb Pedersen (guitar), Emory Gordy (bass), Bernie Leadon (guitar, from The Eagles). There's a song co-written by Ric and Gram, ´Ohh Las Vegas´. Ric is not credited in the album, but I think he must be there, just my guess... 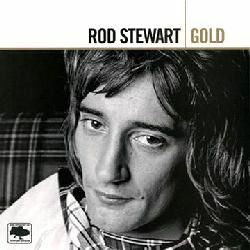 Recorded during Summer 1973. It contains a really superb rendition of ´Love hurts´, sung as a duet by Gram and Emmylou. 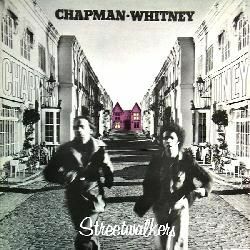 Comments: Ex-Family members Roger Chapman and Charlie Whitney put together a new project: Streetwalkers. The original idea was to keep the band as a duo (Chapman and Whitney). 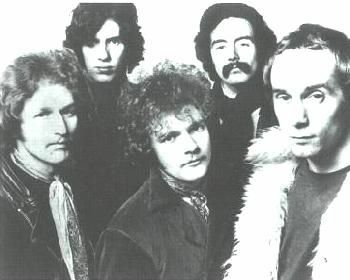 They recorded the first album, Chapman Whitney Streetwalkers, with several former companions in Family: John Wetton (bass, then in King Crimson, and later in Uriah Heep and many others great bands), Ric Grech, Jim Cregan, Poli Palmer, as well as Boz Burrell, Ian Wallace & Michael Giles (all from King Crimson), Tim Hinkley, Neil Hubbard and Max Middleton, etc. 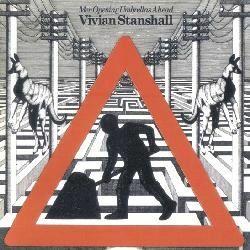 The album has finally reissued on CD in 2010, with a different album cover and under the title First cut. Comments: This soundtrack, although it was released in 1976, was started to be recorded in 1972. 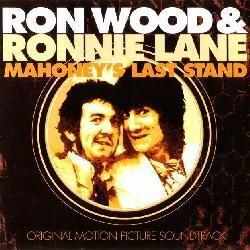 Mahoney's last stand album is credited to Ron Wood & Ronnie Lane. Ron and Ronnie are accompanied by many fellow musicians: Pete Townshend (guitar, from The Who), Ric Grech (bass and violin), Ian McLagan & Kenny Jones, Benny Gallagher (bass, from Gallagher & Lyle), and the late ones Ian 'Stu' Stewart and Micky Waller (drums), etc. 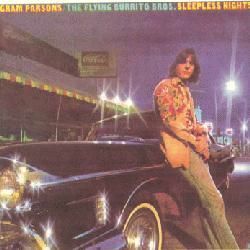 Comments: Sleepless nights comprises unreleased songs from The Flying Burrito Brothers. 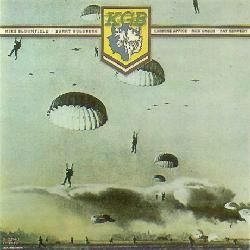 Well, really, the album is credited to Gram Parsons & The Flying Burrito Brothers. Again, with Emmylou Harris, James Burton, Ric Grech, Byron Berline, Glen D. Hardin, Al Perkins, Ron Tutt, plus Herb Pedersen (guitar), Emory Gordy (bass), etc. And from The Flying Burrito Brothers: Bernie Leadon (guitar), Chris Hillman (bass), Sneaky Pete Kleinow (steel guitar), Michael Clarke (drums). Comments: Cosmic American music is a compilation of demos recorded around 1972. Ric Grech appears here, as well as Emmylou Harris. Comments: Warm evenings, pale mornings, bottled blues is a retrospective of Gram's complete career, including his early bands. 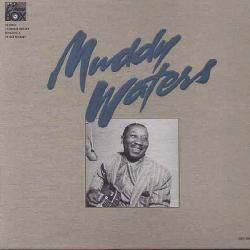 Comments: Muddy Waters arrived to London to record some sessions with avid British alumni. With some members of Muddy's band, such as Sammy Lawhorn (guitar) and Carey Bell (harmonica). 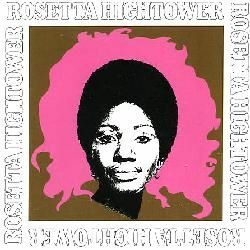 Great names here: Rory Gallagher (guitar), Ric Grech (bass), Steve Winwood (keyboards), Mitch Mitchell (drums), plus Rossetta Hightower on vocals. 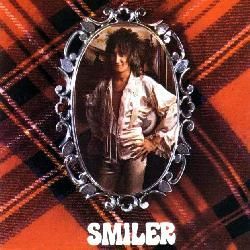 Comments: Once I read that this album contains guest cameo appearances by Donovan, Marc Bolan, Ric Grech and Keith Moon, but my Spanish LP copy doesn't have credits, so I can't be sure. Can anyone check it for me, please? 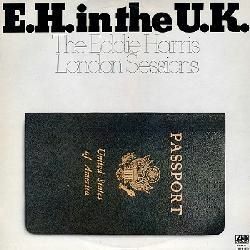 Comments: Eddie Harris was a jazz tenor sax player, who died in November 1996. Although mostly of his albums are really jazz stuff, he also tried a bit in the rock scene. 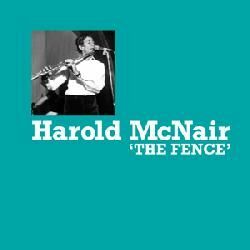 This album is also known as The Eddie Harris London sessions. 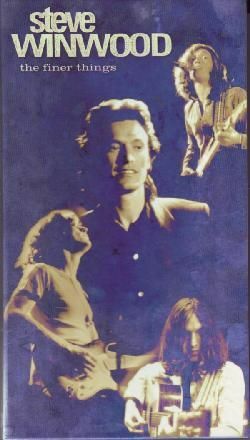 Ric Grech performs in only one song, along with Jeff Beck (guitar), Albert Lee (guitar), Steve Winwood (keyboards), Loughty Amato (percussion) and Ian Paice (drums). Other great musicians who appear in the album: Neil Hubbard (guitar), Boz Burrell (bass), Zoot Money (keyboards), and from Yes: Chris Squire (bass), Tony Kaye (keyboards) and Alan White (drums). 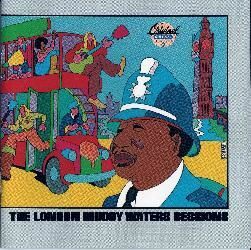 Comments: London revisited is a collection of unused tracks from the 1971 sessions that Muddy Waters (4 tracks) and Howlin´ Wolf (3 tracks) made with British musicians. Comments: Some CD reissue contains 1 bonus track. Ric Grech appears guesting on violin with the band in 2 tracks recorded in March 1969. Comments: 4CD boxset with live recordings by Fairport Convention. 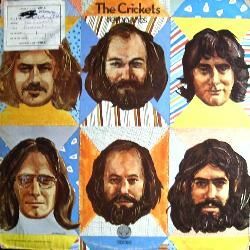 Ric Grech guests on violin in 4 tracks recorded in April 1969. Disclaimer: I don´t own or upload any of the videos linked here. I just include links to live videos that are already available, in order to show the work of this musician. Anyway, if someone feels that some link shouldn't be included, please write me at the email address shown below. And if you know of more videos featuring Ric Grech, please, also write me with the link. 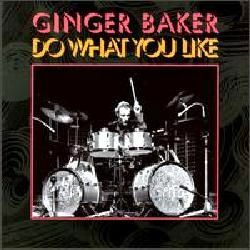 Featuring: Ginger Baker, Eric Clapton, Ric Grech, Steve Winwood. Danny Peyronel: for info on his band with Ric. Mick White: for sharing his memories about Square Dancing Machine and Ric with me (2002). Vince (Ozzy) Osborn: for info (2006). Martin Osborn: for his fantastic message (2000). 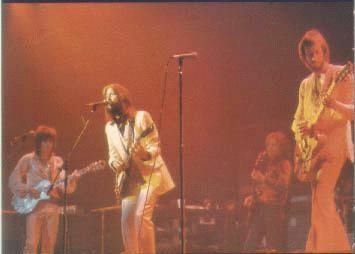 Al Sansome: for info on Ric´s bands in 1975 and 1976 (2000). Ian Whiteman: for info on the Olympic sessions (2002). Gareth Freer: for info (2008). Mike Fitzgerald: for info on Farinas (2003). John H Warburg: for lots of info on Ric, The Farinas and Family (2006). 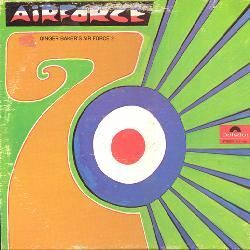 Jaap Luif: for extensive info on Airforce and Denny Laine (1998). Alex Gitlin: for scanning album covers for me and help with support. Henk Hagen: for info about Airforce. Achim Schweikard: for offering his help with info (2010). Jonathan Wheeler: for info (2009). Donald Adler: for pointing an error in my page (but I still think Chappo was in The Farinas at the end) (2007). Henry S Rosner: for info on Airforce (2005). Jamie Kane: for his message (2006). 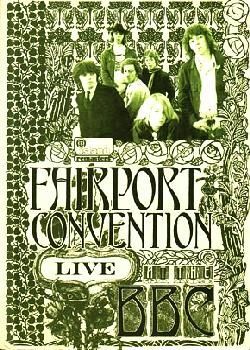 Stephen Robbins: for info on Ric playing with Fairport Convention in April 1969 (2002). Neil Blunt: for info (2004). Eddie McDonnell: for sending me the complete personnel list on Airforce 2 (2004). Paul Hilling: for his message (2000). Rev Millhone: for his kind message (2001). 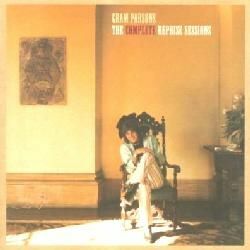 Greg Willmott: for his message on Gram Parsons (2000). Dave Kath: for his kind message (2000). Stewart Mercer: for his very interesting message (2004). Dave: for his message (2005). Jeff Johnson: for his message on Ric and Gram Parsons (2001). 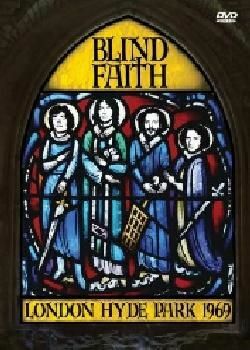 Kenny Parsons: for his message about Blind Faith (1999). 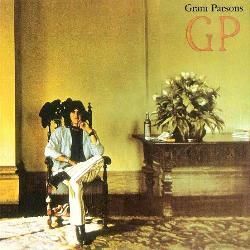 Michael Jardine: for info on Ric appearing in Gram Parsons´ 2nd album (2003). Craig Meier: for his very interesting message (2001). Jacek Szepan: for info on the bassist playing in Airforce 2 album (2006). Dylan Thomas: for info on Ric playing with Johnny Rivers as well as some Crickets corrections (2012). William Ellis (2011), Robbie Grech (2007), Keith Lawrence (2006), Kevin Downes (2006), Blue Frank (2002), Janine (2005). 22/May/2012 - Added another band (Johnny Rivers Boogie Band). Thanks to Dylan Thomas. 26/August/2011 - Page added to the blog. 16/January/1998 - Original page written by me (in the old site).